Three offers Pay As You Go bundles from £10/month or traditional Pay As You Go rates of 3p/minute, 2p/text and 1p/MB. In the UK, customers on Three Pay As You Go can use their mobile phone from just 3p/minute, 2p/text and 1p/MB. It’s also possible to convert your credit into a 30-day Pay As You Go bundle (e.g. £10/month for unlimited minutes, unlimited texts and 2GB of data). Your allowances can be used in the UK and in 71 other destinations through the Go Roam offer. In this article, we’ll review Three’s Pay As You Go service. We’ll start by looking at their price plans, including both the 30-day bundles and the basic 321 tariff. We’ll then compare Three’s Pay As You Go service to rival mobile networks before looking at handset compatibility, the level of coverage you can expect and how to keep your existing phone number. Turn your credit into a 30-day bundle. This is the best option if you’re a regular mobile user. Bundles start from £10 for unlimited minutes, unlimited texts and 2GB of data (allowances valid for 30 days). Pay As You Go at 3p/minute, 2p/text and 1p/MB. This is a traditional Pay As You Go offering, with no need to top-up your phone every month. A better option for light or infrequent mobile users. In the following section, we’ll look at the two options in more detail. 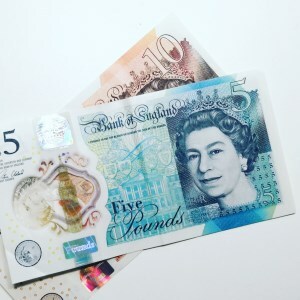 For customers who use their mobile phone on a fairly regular basis, it will typically be cheaper to convert your Pay As You Go credit into a 30-day “add-on” bundle. Add-on bundles give you an allowance of data, along with unlimited minutes and unlimited texts to use over the next 30 days. For instance, the £10 bundle gives you 2GB of data along with unlimited minutes and unlimited texts. For comparison, it would cost £20 to use 2GB of data at standard 321 rates (and that’s before considering the cost of any phone calls or text messages). On the £35 unlimited data add-on, you’ll get a free subscription included to either Xbox Game Pass, Rakuten TV or Readly. If you’d like to buy unlimited data in bulk, there’s also a £90 unlimited data add-on that’s valid for 90 days (but without a free subscription included). One disadvantage of buying an add-on bundle is that your allowances will only last for 30 days (or 90 days on the £90 add-on). Any unused allowances will expire with the bundle and will not roll-over into the following month. For this reason, light users might be better off remaining on standard Pay As You Go rates. If you don’t have an active bundle on your account, you can pay for your usage at Three’s standard Pay As You Go rates. These are 3p/minute, 2p/text and 1p/MB. If you’re paying standard 321 rates, there’s no need to top-up your phone every month. You can simply add some credit to your account, and it will remain until whenever you use it. You’ll just need to make sure your account remains active, which means using your SIM card for a chargeable activity at least once every six months. The prices in this table are stated for UK-to-UK only. If you’re travelling abroad outside Europe or making international phone calls, higher charges will normally apply. Source for pricing information: three.co.uk. Three’s Pay As You Go rates are some of the lowest in the UK when looking at the per-minute, per-text and per-megabyte charge. O2’s Classic Pay As You Go has the same cost structure as Three (3p/minute, 2p/text and 1p/MB) whilst 1pMobile charges a little bit less (1p/minute, 1p/text and 1p/MB with coverage from EE). 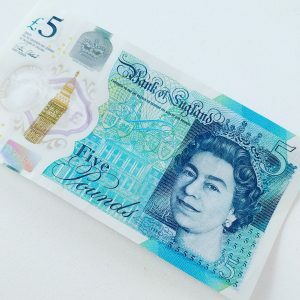 On Three, the minimum top-up is £5 each time when you top-up online through the My3 website. 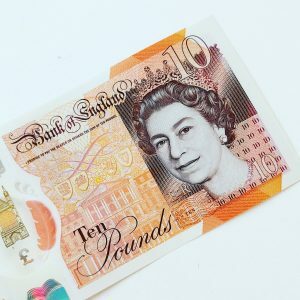 It’s £10 when you top-up elsewhere (e.g. by phone, in store or at a bank ATM). For customers on Three’s Pay As You Go service, a key benefit is being able to use your mobile phone abroad in 71 destinations at no extra charge. The Go Roam Around The World offer covers your usage in most European countries, the USA, Australia and more. For customers who occasionally travel abroad to other countries, this makes Three a great choice. 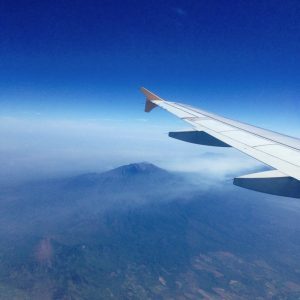 You can use the SIM card to stay in touch with friends and family whilst travelling, and you can continue using your favourite applications like social media, messaging and maps. To get the best value when travelling abroad, we recommend buying either the £15 or £20 bundle. Up to 12GB of your data allowance each month can be used in a Go Roam country (or up to 15GB if you’re inside of Europe). In the following section, we’ll compare Three’s Pay As You Go pricing to what is available on other mobile networks. Unfortunately, Three doesn’t currently offer any add-on bundles costing £5/month. If you’d like a Pay As You Go bundle costing £5/month, your options would be to get a bundle from ASDA Mobile, EE, giffgaff or Vodafone. Three offers a £10 add-on bundle with unlimited minutes, unlimited texts and 2GB of data. For the same monthly price, you can get a larger data allowance on other mobile networks. For example, both giffgaff and ASDA Mobile offer 3GB of data per month. giffgaff offers 4G coverage from O2, whilst ASDA Mobile offers 4G coverage from EE. For £15/month, Three offers an add-on bundle with unlimited minutes, unlimited texts and 5GB of data. Three has a £20/month bundle with unlimited minutes, unlimited texts and 12GB of internet. For the same monthly price, giffgaff offers a £20 goodybag with unlimited minutes, unlimited texts and 20GB of data (this is an extra 8GB of data compared to Three’s £20 bundle). For a more detailed comparison, please see our in-depth article on Pay As You Go bundles. For light users on traditional Pay As You Go, Three charges 3p/minute, 2p/text and 1p/MB. This makes them one of the cheapest mobile networks for traditional Pay As You Go usage, alongside O2’s Classic Pay As You Go. 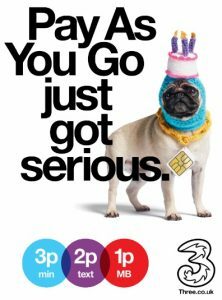 Three’s 321 rates are beaten by 1pMobile who charge just 1p/minute, 1p/text and 1p/MB. 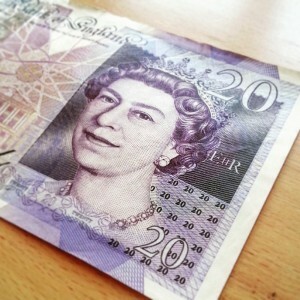 However, 1pMobile has a minimum top-up requirement of £10 for every 120 days of usage. For more information, please see our full comparison of Pay As You Go rates. 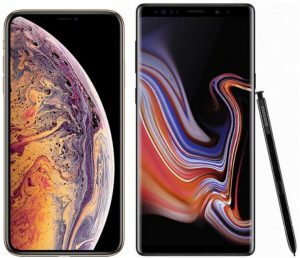 There are two ways of joining Three’s Pay As You Go service: you can either buy a new handset directly from Three or you can order a free Pay As You Go SIM card for your existing unlocked smartphone. If you’d like to buy a new handset directly from Three, there are currently about 40 handsets you’re able to choose from on their website. Prices start from about £40 for a new Pay As You Go handset. If you order a free Pay As You Go SIM card from Three’s website, you’ll need to provide your own handset to use with the service. This can either be your existing unlocked smartphone or it can be a new SIM-free handset that you’ve purchased elsewhere from another retailer. If you’re providing your own handset to use on the Three network, you’ll need to make sure it’s at least 3G-compatible. It isn’t possible to use a 2G-only handset on Three’s network. In the UK, Three offers 99.8% population coverage on its 4G network and 98.3% population coverage on its 3G network. Before joining Three’s Pay As You Go service, we’d strongly recommend checking the coverage in your area. You can do this by entering your postcode on Three’s online coverage map. Unfortunately, Three doesn’t provide any 2G coverage. For this reason, if you’re using a 2G-only handset, you won’t be able to receive any coverage from Three. You may also experience issues when using a Three SIM card in a dual-SIM smartphone. 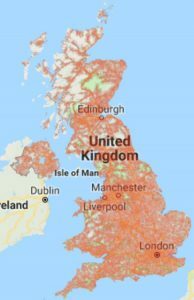 For more information about the coverage on different mobile networks, please see our in-depth guide to mobile phone coverage in the UK. As of April 2018, it’s possible to use tethering and personal hotspot without restrictions on Three Pay As You Go. Prior to this, tethering and personal hotspot usage was not permitted. For more information, see our full guide to tethering on UK mobile networks. On Three, international roaming is enabled automatically for all customers on Pay As You Go. For customers visiting one of 71 destinations (including most of Europe, the USA and Australia), it’s possible to use your SIM card abroad at no extra cost through the Go Roam offer. For more information, find out about international coverage on Go Roam. If you’re visiting a country that’s not covered by Go Roam, additional charges may apply for your usage when abroad. Please see the Three website for full details about their international coverage. 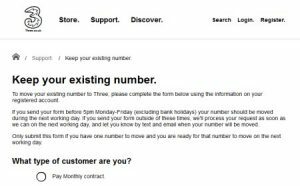 If you’re joining Three’s Pay As You Go service from another mobile network, it’s a straightforward process to keep your current phone number. Start off by ordering your Pay As You Go SIM card from Three’s website. Once you’ve done that, contact your old mobile network to ask for a PAC Code. This will authorise the transfer of your phone number to Three. Your old mobile network is legally obliged to provide you with a PAC Code free of charge within two hours of your request. 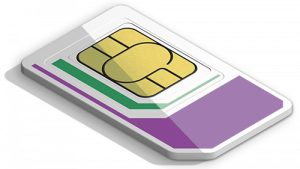 Once your new SIM card has arrived from Three, fill out this form on their website. After submitting your PAC Code on that page, your phone number transfer will be scheduled by Three (normally for the next working day). For more information about transferring a phone number between mobile networks, see our guide to using a PAC Code. For more information about Three’s Pay As You Go service, please see their official website. We'd love to hear your thoughts and any questions you may have. So far, we've received 111 comments from readers. You can add your own comment here. My initial plan was to get a 30 days SIM card which I can use on my spare iPhone as a hotspot while I can still keep my own phone with my local sim just in case there is emergency call while I am not in my country. In my case can you suggest any other sim which I can get while I arrive at London next week? Thank you in advance your advise. Many thanks for your comment. Unfortunately, I’m not aware of a Pay As You Go SIM card that both allows you to use your phone in the US at no extra charge, and that also allows you to tether. It’s possible you might need two separate SIM cards for this (e.g. one in the UK and another one in the US). For the UK, I’d recommend giffgaff as a good SIM card for visitors. They allow you to tether at no extra charge, and have some rates in the UK. Thanks for your comment. Technically speaking, I think it’s against the terms and conditions to tether on Three’s Pay As You Go service. I know Three does make use of some tethering detection, but I’m not sure how strictly they apply this and how regularly they do it.